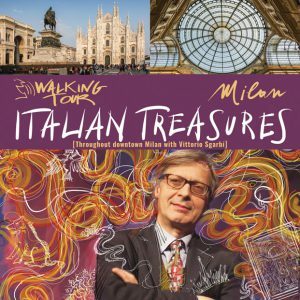 This Walking Tour will accompany you as you discover the three emblematic squares of the city of Milan: Piazza Duomo, Piazza della Scala, and Piazza dei Mercanti. 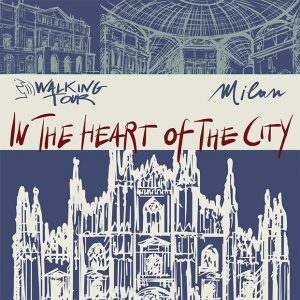 It’s here, enclosed within a few hundred meters, that we can feel the beating of the generous and untiring heart of Milan, the city with the millennial past and the eternal future. Let’s go on this pleasant stroll together. 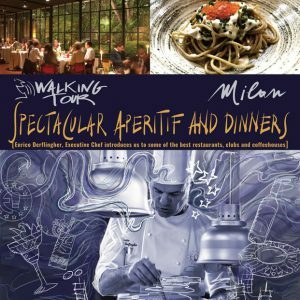 It will be up to us to satisfy everyone’s tastes and indulge even the most curious visitors. We won’t be talking strictly history, but legends, technology, fashion, cuisine, and art. 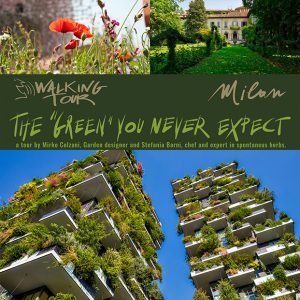 Above all, we’ll be telling you the unique adventures of those who experienced the growth of Milan and made it was it is today. Have a good time! Free download OpenCITY App and buy the Walking Tour – activated through the code you will receive. Follow the virtual expert taking you to the discovery of the most beautiful and evocative places in the city. You will manage all the routes autonomously, having the chance to interrupt them or listen to them repeatedly. Even at home. 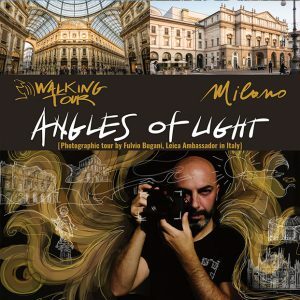 Read the information sheet to find out more about this Walking Tour. Fashion is a material form of culture which has taken on a pivotal role in our society since the mid-twentieth century. But fashion has always been tied to the aesthetic and ethical values and to the expressive and artistic forms of each era. It’s an instrument that shapes bodies and suggests the standards of beauty. It’s a form of identity able to communicate messages, express social conformity or the very desire to change it. 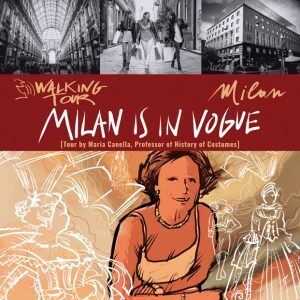 Our Milan is in Vogue Walking Tour offers a captivating interpretation of the multiple dimensions the fashion system has generated in Milan, from the birth of prêt-à-porter in the aftermath of WWII to the stylists who made Milan one of the world’s fashion capitals. You can develop your own original itinerary and follow it to your heart’s content, trusting your personal taste and aesthetics. 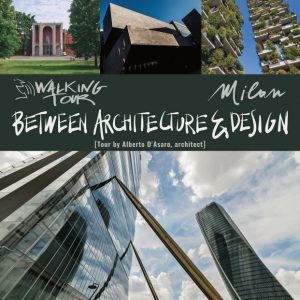 “Between Architecture and Design” will keep your nose pointing to the skies and your eyes filled with wonder. In addition to the great icons of contemporary architecture and the glistening new neighborhoods that project Milan into the future, you’ll discover corners of the city containing hidden architectural jewels designed by the pencils of geniuses, bits and pieces of ancient Milan that survived the Milanese fever for building, as well as small peaceful oases where you can treat yourself to a rest, mostly undisturbed. 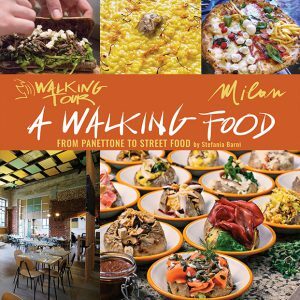 In Milan, surprises are never missing – this Walking Tour will make you discover how creativity can change the face of a city.